This year I am a "mother in waiting", so Mother's Day yesterday triggered a lot of thoughts about what it means to be a mother. I always love seeing everybody's posts on social media about how awesome their moms are. I think it's very sweet. I am aware, though, of how hard the day is for some... friends who have lost their moms, friends who will never be moms in this life, friends who recently lost a child or a pregnancy or can't get pregnant. For those, the day is, no doubt, marred by sadness. I have one literal "mother", but if I look at the word as a verb, there are countless people who have "mothered" me over the years. I like to think of the term mother as more of a verb than a noun, putting it more as a celebration for everyone, regardless of one's technical "mother" status. A celebration of all the people who have in some way taught us, loved us, cared for us, looked out for us, helped us, protected us, shown us kindness. Because that's what it means to be a mother. I'm grateful for how my mom mothered me when she told me stop being "caddy" in high school and be nice to other girls. I'm grateful that she taught me the incredible power of a strong female relationship. I'm grateful for my mother in law who taught me to keep the pit in an avocado to keep it fresh, and how to check asparagus for where it is tender. I'm grateful for my dad who mothered me when I wrecked the station wagon my senior year of high school and he made me go out every Saturday afternoon in the garage with him and together we learned how to repair the old thing. I'm grateful for my father in law who mothers me when he changes the oil in my car and helps me pay for new break pads and asks how the tread on my tires is doing. I'm grateful for my friend who mothered me when she sent me a cute little baby outfit in the mail last week. I'm grateful for my AP Literature teacher in high school who mothered me when he taught me about the power of literature, of story telling, of a good teacher. I'm grateful for his example and the inspiration he was to me to go into the teaching field. I'm grateful for my friend who mothered me when she picked me up from the dentist after I got my wisdom teeth taken out and changed the bloody gauze in my mouth for me. I'm grateful for the teacher across the hall who mothered me throughout all of December when hardly anyone knew I was pregnant yet, and I felt so sick I could barely teach. She popped her head in my room every morning to make sure I was feeling okay and brought me little gifts to keep me going. I'm grateful for my sister who mothered me when she told me she didn't think it was a good idea for me to go to Russia eight months pregnant. I'm grateful for my husband who mothered me when I got in a car wreck in California last month, and he called every six minutes to make sure I was still okay. I'm grateful for the coworker from my old school who just emailed telling me there is a recent theater job opening that my husband might be interested in if he hasn't already been hired. I'm grateful for my grandma who mothered me by teaching me to touch a boy's elbow if I'm interested in him, and to always smile a lot on first dates if I ever want to see a second date. I'm grateful to my brother who mothered me when he picked me up from the airport right on time, threw my suitcases in the car, and sped home so I could make a wedding in the nick of time. I'm grateful for my roommate who mothered me by scratching my back and listening to me cry after my dad died. I'm grateful for my mission companion who mothered me when she made me an egg and green pepper sandwich every morning and straightened my shoes at night. When I stop to think about it, I have had so many mothers in my life, people who have come in and out, shown me love, shown me kindness, taught me. Thank you to all. May I be as good as a mother to others as they have been for me. Such a great post. I agree that I have so many people that have mothered me. I have a pretty strained relationship with my mom, so this is always a weird day for me. But I think you're right, it isn't the blood that makes someone a mother. I've also had those teachers (AP Lang!) and mentors who have so influenced who I am. It's also especially helpful to read accounts of other women who, in my case, didn't grow up close to their moms (throwback to E Tells Tales). I hope one day I can raise a daughter to be the kind of woman I want to be, even if I haven't mastered it myself. I like this a lot! I've seen a bunch of posts from people who complain about their mothers all day long, but then on Mother's Day, it's all sweetness and light. While I suppose it's good that they see past the superficial for that one day, I think it would make more sense to be celebrating with all the people who have "mothered" them in some way, instead of focusing only on the biological bond, which might not be the strongest/closest. I'm really lucky. No conflict here, my mom's awesome every day of the year! I loved this post I dont think Ive ever thought about mothering like that! 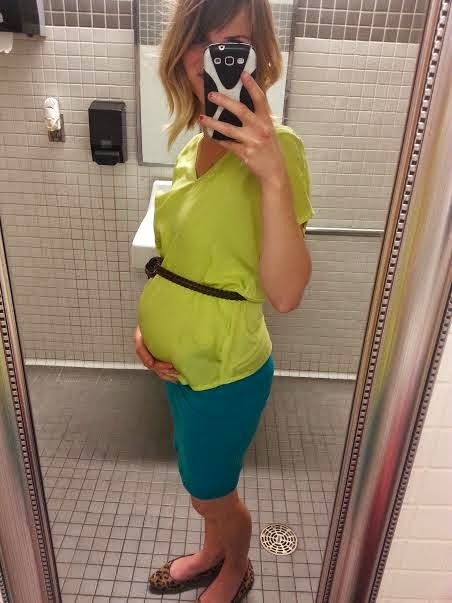 Awesome read and youre totally an adorable preggo! I like the way you think about this! I never thought of all the people who mothered me along the way who were never my real mom. My mother is amazing and I don't know what I'd do without her, but there are so many people who have taken care of me along the way. It's great to remember them. im obsessed with your belly!! i really loved the idea behind this post...so sweet.